"A short review on this overlooked piece of hardware. The MidiREX is essentially a 4-track MIDI looper. The project is open-source, a more verbose description, manual, build docs. and Atmega firmware are available on the project website. 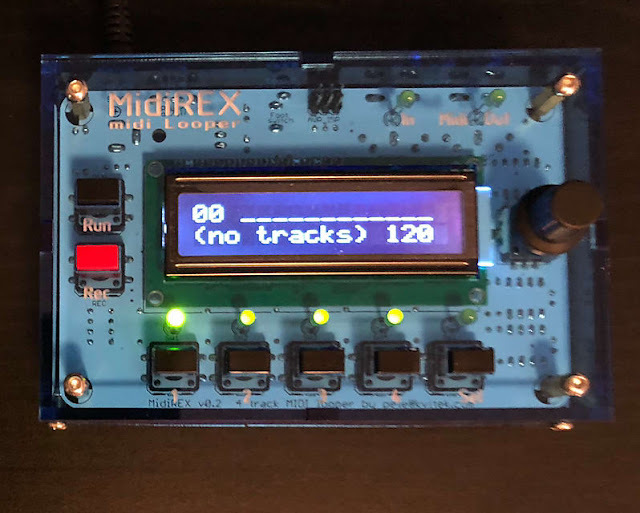 Shout-out to Peter Kvitek, the developer of MidiREX, and other cool midi devices."